Ever heard of Gwyneth Paltrow's GOOP page? It used to be kind of like her little blog but has now turned into an e-commerce and digital media page. What I like about the page is that she shares many of her favorite things with her readers and also gives tips and advices on traveling, restaurants and hotel recommendations, recipes to try at home, different hot spots in every city she has ever visited and must-have beauty products she has tried tested and true. However, not everything mentioned in her blog is accessible to the general population since sometimes, you can only get that one thing in Paris or the UK or simply too expensive/exclusive! It is sometimes interesting to get a glimpse into the life of a celeb if that's what you're into. I'm liking her latest venture which is GOOP Collection. GOOP collaborates with all these mighty designers she loves which I may or may not have heard of before but some of you must have. That's the great thing about collabs where one brand takes advantage of the other's popularity and rides the wave of new found popularity. I'm sure all the designers she has projects with already have a cult following or else she wouldn't have heard about it right? Like this sweater collab for instance. 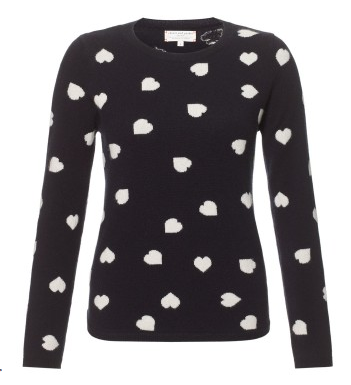 I've never heard of this UK based brand Chinti and Parker but now I'm curious about their knitwear line after falling in love with this cashmere sweater they did for Goop. Only thing is, it's way over my budget. Come to think of it, almost every other thing in Goop collection is not really affordable for me :) Any Goop sample sales coming up? These are truly limited edition reserved to those who have extra money in their bank and a fan of Gwyneth's taste in garments. Here are some limited edition goodies I'd like in my closet! Chinti and Parker Heart infested cashmere sweater for Goop! 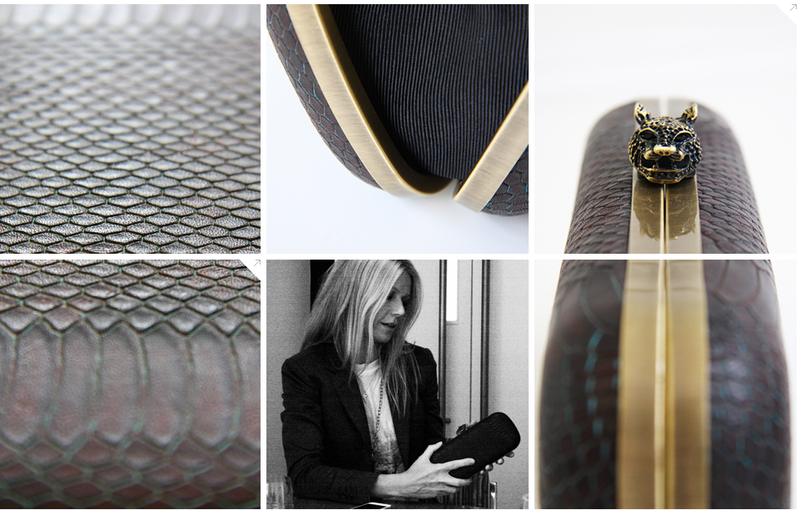 Some of you already know I am a fan of Rag and Bone so to see them create three pieces just for Goop, I was in awe. Gwyneth Paltrow looking fab in her Rag and Bone blazer! 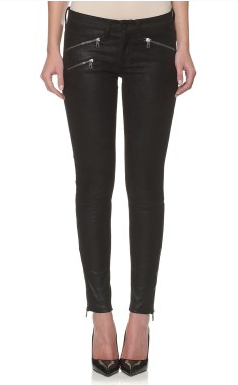 Rag and Bone leather jeans for Goop! I don't see myself wearing this but I like Nicole Richie's hobo line : House of Harlow and she created this clutch exclusively for Goop. Ever heard of Birchbox? It is a great service for anyone that loves to sample different kind of beauty products before committing to a full size product. 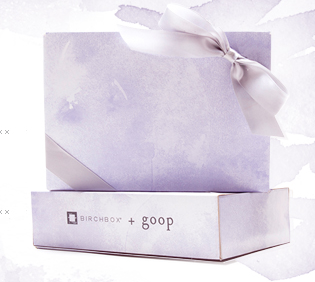 Each month, a Birchbox filled with curated beauty samples is delivered to your door steps. They have created a special one just for Goop readers. I heard of Birchbox but was never interested in signing up but this picked my interest because Gwyneth's taste is fine and I have a feeling her picks will be worth the $10 this box cost.